NOTE: This site is currently in its initial construction phase (spring 2018). Hello! 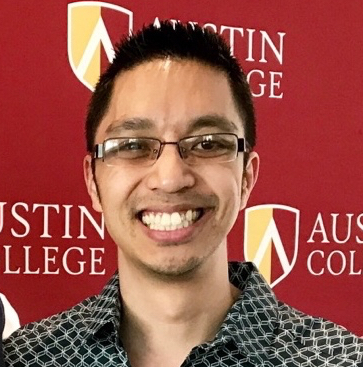 I’m Dr. Jeremy Posadas, and I teach on the rural border of Texas and Oklahoma at a liberal arts college called Austin College (which, despite its name, is located nowhere near Austin). I hold the John F. Anderson Chair of Christian Thought and am also a core faculty member in the gender studies program. Through my teaching, scholarship, workshops, and strategies, I invite people into the moral critique of social inequalities that structure America today — especially those based on class, gender/sexuality, and race — and into the imagination of a world where everyone is equitably free to enjoy liveliness and live with joy. As a social ethicist and constructive theologian, my writing is rooted in Christian traditions that struggle for the liberation of all people, along with the Earth, from injustice in its multivalent forms. As an activist, my organizing has primarily manifested itself in the movements for worker justice and LGBT/queer justice. And as a political strategist, I am committed to helping forge a new “politics against disposability” through which various marginalized communities can recognize shared interests to build solidarity and power. Journal of Religious Ethics 45.2 (June 2017): 330-361. “Theological Complicity in the Disappearing of the Working Class"
Dialog: A Journal of Theology 55.1 (March 2016), 70-78. What Is Class and How Does It Work?